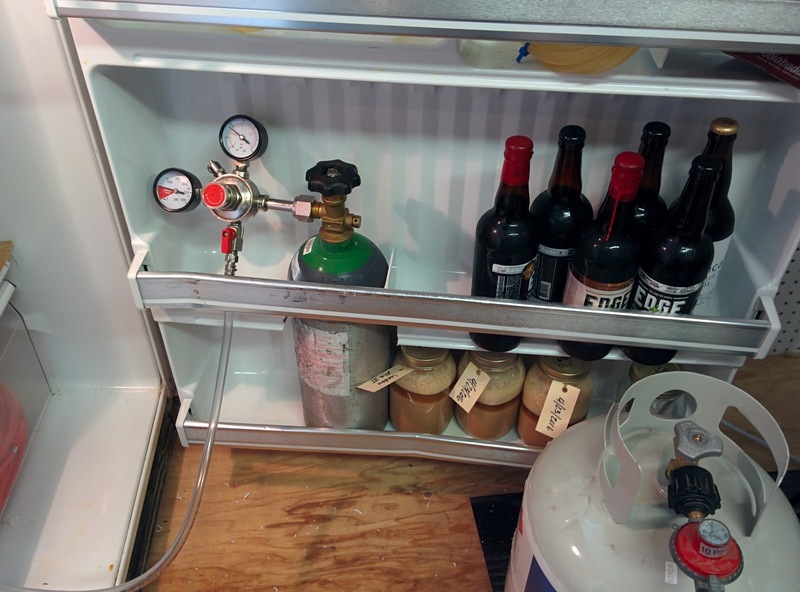 While brewing batch 184, I made a nice modification to my beer fridge. I don't want to drill a hole in the fridge to put the CO2 tank outside, and there isn't anywhere to put it anyway, so I used my Dremel and cut out the shelf in the door to put it there. Mmm! Edge beers waiting to be opened! Now it's easy to reach and no fear of it falling out by accident.